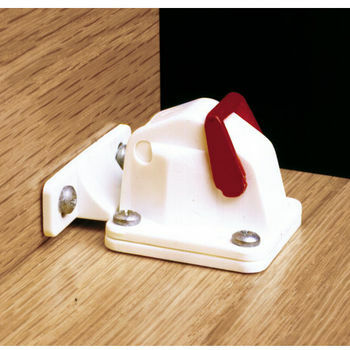 Rev-A-Lock is an ultra-secure magnetically operated cabinet and drawer lock designed to make it virtually impossible for children to break into cabinets and drawers containing unsafe items. 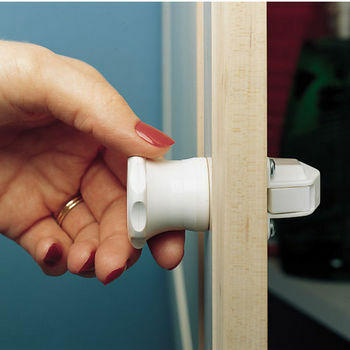 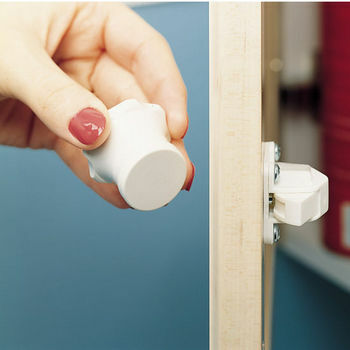 Only the extremely powerful magnetic key, which is supplied with the product, can open the lock. 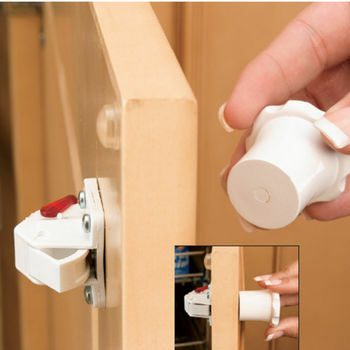 Refrigerator and other magnets won't work. 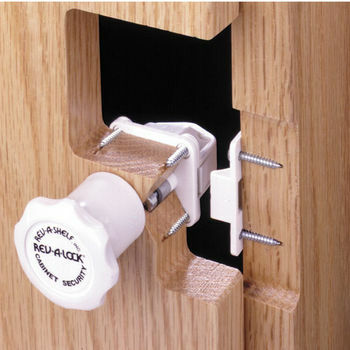 The packaging for Rev-A-Lock can be seen in the hardware and security departments. 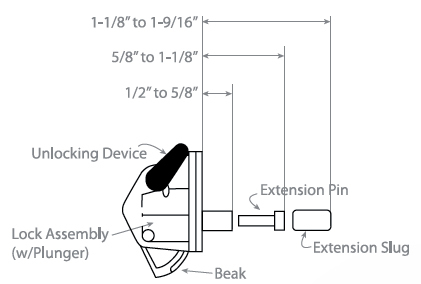 Only one door per lock. 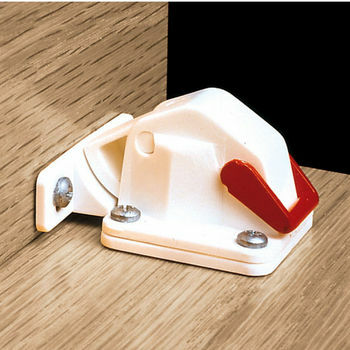 This locking system comes with one magnetic lock.